After 6 years under my belt of bathing babies, I can honestly say that bath time is a lot less headache when there are water-specific toys in the tub. Early on, I would toss generic toys from the playroom that were plastic or rubbery in to the bath. 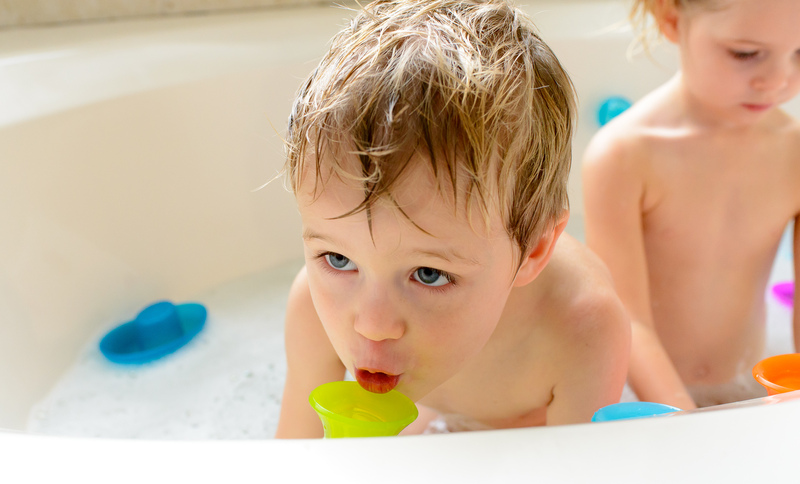 Once I made the switch to water toys, it’s been a game-changer in helping bath time last SO much longer and be a lot more fun for the kids. I have always especially loved Boon products for my kids. They’ve created super cute, modern infant and toddler products that foster creativity. 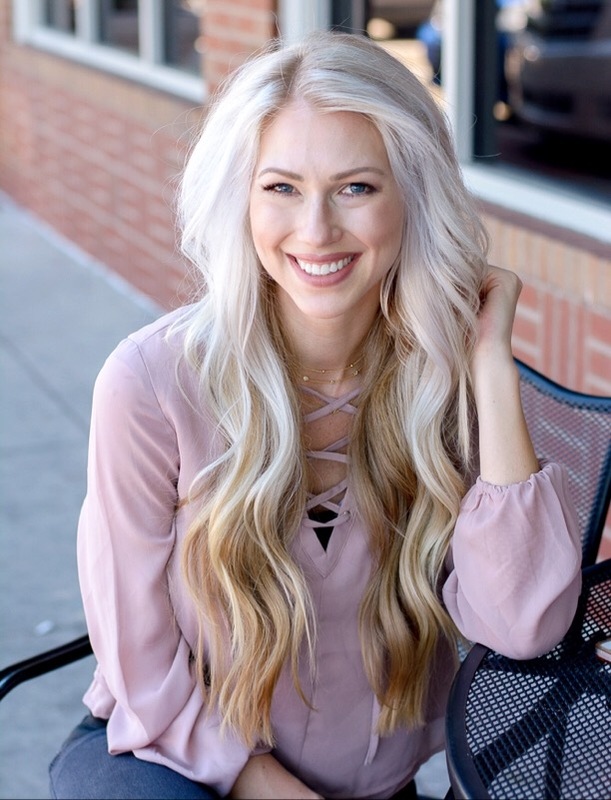 I’m thrilled to have partnered with Boon as a BoonBassador for the next year. I’ll share updates of my favorite new innovations from the brand as they’re released to stores. 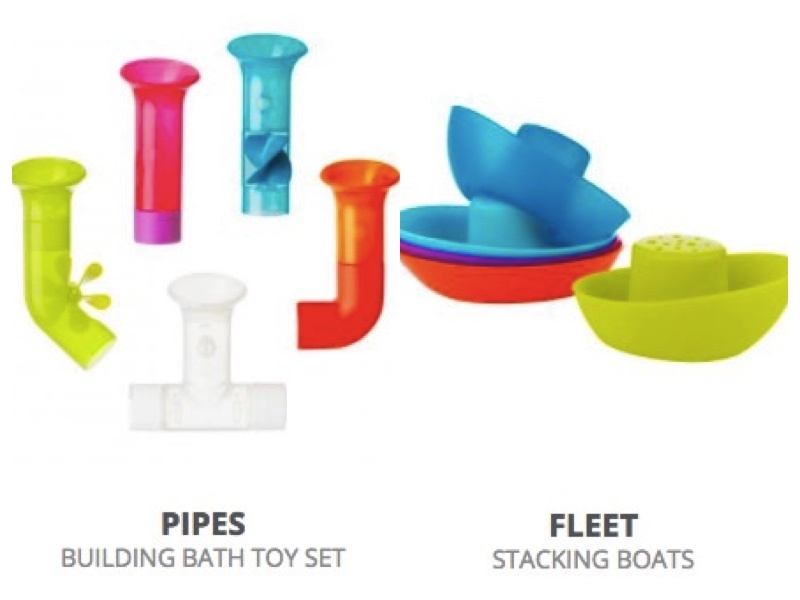 We’ve tried nearly 10-15 of their bath products and the toys that my kids will play with for hours are the Fleet Stacking Boats, Pipes Set, Jellies Suction Cups, and the Cogs Wheels. Seriously, the kids loooove them. I use this Frog Pod to drain and store the toys in the tub. And when Avery joins in on the fun, she’ll sit in this Soak bath tub, the design helps prevent her from slipping which is an important feature in baby tubs. 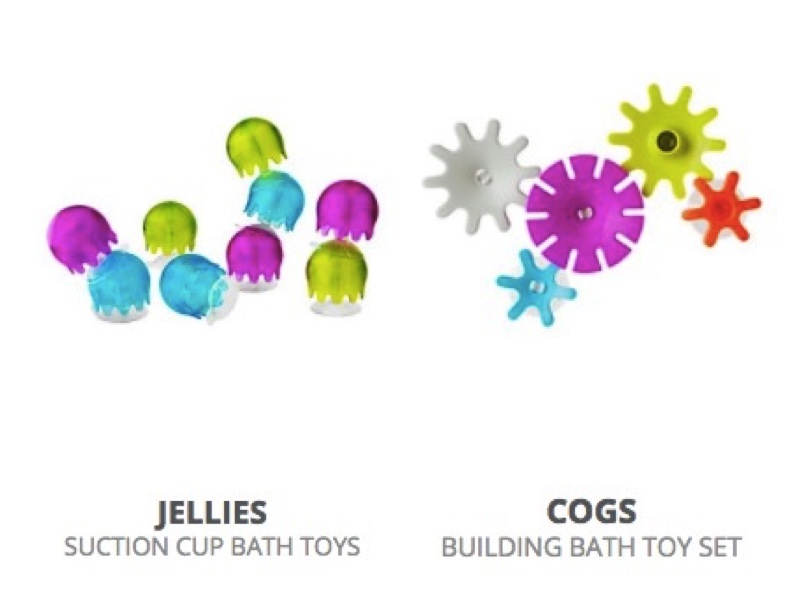 These bath products would make the perfect holiday gift for kids! I love Boon’s goals wrapped up in a few words..
Love Boon! Thanks for sharing! Get new posts sent straight to your inbox! Getting Your Babycakes Sleeping 8 Hours by 8 Weeks!